Maj. Matthew Elias CUNNINGHAM [Parents] was born on 17 Dec 1792 in , Laurens District, South Carolina. He died on 19 Feb 1856 in Milledgville, Forsyth, Georgia. He was buried in Bethlehem Cemetery in North Fulton County, Georgia. Matthew married Nancy Violet STEWART about 1814. Nancy Violet STEWART [Parents] was born on 27 Sep 1794 in , Columbia, South Carolina. She died on 25 Mar 1858 in Milton, Forsyth, Georgia. She was buried in Bethlehem Cemetery in North Fulton County, Georgia. Nancy married Maj. Matthew Elias CUNNINGHAM about 1814. F i Mariah Louise CUNNINGHAM was born on 25 Nov 1814. She died on 28 Feb 1903. O. Perry CUNNINGHAM was born on 18 Apr 1816 in , , South Carolina. He died on 15 Nov 1855. Robert Fulton CUNNINGHAM was born on 1 Oct 1818 in , , South Carolina. Henrietta CUNNINGHAM was born in 1820 in , Laurens, South Carolina. She died on 3 Apr 1880. M vi Maj. Henry Lawrence CUNNINGHAM was born on 6 Dec 1822. He died on 9 May 1904. F vii Margaret Brock "Molly" CUNNINGHAM was born in 1824. She died on 15 Nov 1855. M viii Dr. Lawton S. CUNNINGHAM was born in 1826. He died in 1864. George C. CUNNINGHAM was born in 1828 in , , South Carolina. He died in Hamburg, , South Carolina. F x Stella Venessa CUNNINGHAM was born in 1830. William Drayton CUNNINGHAM was born in 1832 in , , South Carolina. He died in , Jasper, Georgia. F xii Anna I. CUNNINGHAM was born on 28 Mar 1834. She died on 5 Jan 1888. M xiii Enoch CUNNINGHAM was born about 1835. F xiv Nancy S. "Nannie" CUNNINGHAM was born on 28 Mar 1837. She died in 1888. F xv Fleeta Flora CUNNINGHAM was born in Jul 1838. Silas Mercer GILBERT was born on 1 Dec 1813 in , , South Caroiina. He died on 15 Nov 1844 in Simpsonvile, Greenville, South Carolina. Silas married Mariah Louise CUNNINGHAM in 1840 in , , South Carolina. Mariah Louise CUNNINGHAM [Parents] was born on 25 Nov 1814 in , , Georgia. She died on 28 Feb 1903 in Ocee, Milton, Georgia. She was buried in Cross Plains Baptist Church Cemetery, Forsyth, Georgia. Mariah married Silas Mercer GILBERT in 1840 in , , South Carolina. Nancy Leaks GILBERT was born on 23 Nov 1840 in , Greenville, South Caroiina. F ii Elizabeth Bennett GILBERT was born on 1 Jan 1842. She died on 15 Oct 1920. Oliver Hazzard GILBERT was born on 19 Mar 1843 in , Greenville, South Caroiina. He died on 28 Mar 1844 in , Greenville, South Caroiina. Silas GILBERT was born on 30 May 1845 in , Greenville, South Caroiina. He died on 25 Dec 1861. B. B. SARGENT. B. B. SARGENT married Alex WASSON. Alex WASSON [Parents] was born in , , Ireland. She died in , , Ireland. Alex married B. B. SARGENT. James McConnell SMITH was born on 14 Jun 1787 in Asheville, Buncombe, North Carolina. He died on 18 May 1856 in Asheville, Buncombe, North Carolina. James married Mary "Polly" PATTON on 24 Jun 1814 in Asheville, Buncombe, North Carolina. Mary "Polly" PATTON [Parents] was born on 7 Jan 1794 in Asheville, Buncombe, North Carolina. She died on 11 Dec 1853 in Asheville, Buncombe, North Carolina. Mary married James McConnell SMITH on 24 Jun 1814 in Asheville, Buncombe, North Carolina. Edward STEWART was born on 24 Jul 1767 in , Orange, North Carolina. He died after 1830. Edward married Mary MC PHERSON. Mary MC PHERSON. Mary married Edward STEWART. F i Nancy Violet STEWART was born on 27 Sep 1794. She died on 25 Mar 1858. Enoch CUNNINGHAM [Parents] was born about 1835. Enoch married Milly in 1840. Milly was born about 1827. Milly married Enoch CUNNINGHAM in 1840. 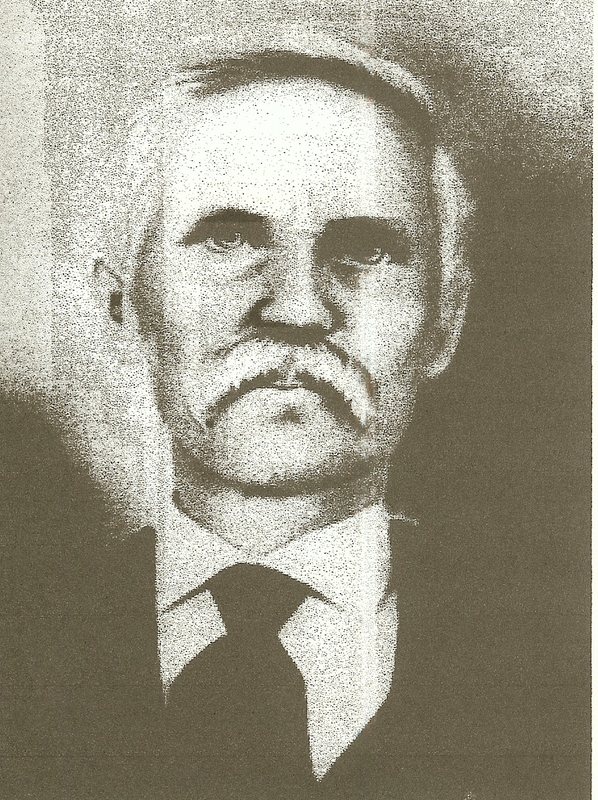 Drayton CUNNINGHAM was born about 1841. Maj. Henry Lawrence CUNNINGHAM [Parents] was born on 6 Dec 1822 in , Laurens, South Carolina. He died on 9 May 1904 in Alpharetta, Fulton, Georgia. He was buried in Bethlehem Cemetery in Old Milton County, Georgia. Henry married Mary Ann BROWN on 24 Dec 1847 in Greenville, Pickens, South Carolina. Mary Ann BROWN was born on 7 Oct 1828 in , , South Carolina. She died on 9 Jun 1862 in , Forsyth, Georgia. Mary married Maj. Henry Lawrence CUNNINGHAM on 24 Dec 1847 in Greenville, Pickens, South Carolina. M i George Stewart CUNNINGHAM was born on 3 Feb 1849. He died in Jun 1900. M ii Robert Lawrence CUNNINGHAM was born on 15 Oct 1849. He died on 26 Dec 1908. Greenvale CUNNINGHAM was born in 1851. F iv Martha P. "Mollie" CUNNINGHAM was born in 1853. Jessie G. CUNNINGHAM was born on 24 Nov 1854 in , , Georgia. He died on 16 Jun 1863 in , Fulton, Georgia. M vi Douglas Brooks CUNNINGHAM was born on 2 Apr 1857. He died on 23 Mar 1928. Mary CUNNINGHAM was born in 1859. M viii Matthew Elias CUNNINGHAM was born in Jul 1860. Henry B. CUNNINGHAM was born on 9 Jun 1861 in , , Georgia. He died on 10 Jun 1862 in , , Georgia. George W. JACKSON was born about 1870. George married Maude E. CUNNINGHAM. Maude E. CUNNINGHAM [Parents] was born on 12 Jan 1873 in , Forsyth, Georgia. She died on 19 Nov 1919. Maude married George W. JACKSON. Capt. Henry William PARIS [Parents] was born on 30 Sep 1818 in Greenville, Greenville, South Carolina. He died on 23 May 1880 in Alparetta, Milton, Georgia. He was buried in Old Big Creek Cemetery, , Fulton, Georgia. Henry married Margaret Brock "Molly" CUNNINGHAM on 23 Dec 1847. Margaret Brock "Molly" CUNNINGHAM [Parents] was born in 1824 in , Laurens, South Carolina. She died on 15 Nov 1855 in , Forsyth, Georgia. Margaret married Capt. Henry William PARIS on 23 Dec 1847. Robert E. PARIS was born on 6 Dec 1848 in , Greenville, South Carolina. He died in 1893. Margaret Henrietta "Maggie" PARIS was born on 8 May 1852 in , Milton, Goergia. She died on 27 May 1921 in , Milton, Goergia. William Shay PARIS was born on 26 Feb 1854 in Alparetta, Milton, Georgia. He died on 30 Apr 1938 in Clayton, Georgia. F iv Sarah E. "Sallie" PARIS was born on 6 Oct 1855. She died on 22 Dec 1880. O. H. PARIS was born about 1857. Perry PARIS was born about 1859. Capt. Henry William PARIS [Parents] was born on 30 Sep 1818 in Greenville, Greenville, South Carolina. He died on 23 May 1880 in Alparetta, Milton, Georgia. He was buried in Old Big Creek Cemetery, , Fulton, Georgia. Henry married Elizabeth PAYNE on 20 Nov 1842 in Greenville, Pickens, South Carolina. Elizabeth PAYNE was born about 1820 in , Greenville, South Carolina. Elizabeth married Capt. Henry William PARIS on 20 Nov 1842 in Greenville, Pickens, South Carolina. Infant PARIS was born about 1843. Infant died about 1843.